Today is another round of quick hits, since I don’t plan on doing a true Commander set review, and I didn’t want to do a Vintage Set Review. I still kinda feel like Kaladesh just came out (because it did), so I don’t want to keep inundating you will set analysis. I do want to talk about some of the new cards, but I’ll uh… try to keep it relatively uninformative. Hi! For those of you who are new, and hopefully that’s at least a few of you, I’m Ross. 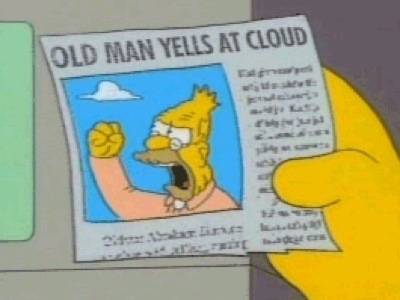 If we think of Magic columnists as being niches like “EDH people” or “vendor folk”, then I’m probably… Abe Simpson? Typically this column is for ProTraders only, but I like to do some broader pieces every now and then as sort of a way to grow the collective understanding of the finance community. 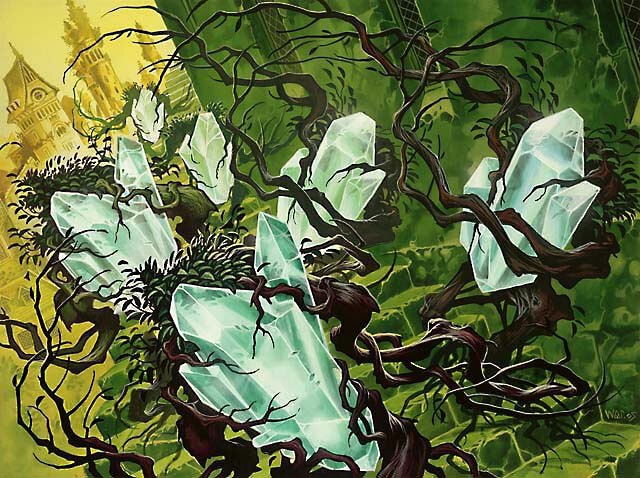 Magic is currently comprised of a large pool of relatively new players1, and I think that the market operates more efficiently if all of the actors are well-informed. Also, if I knock this one out of the park, I figure that James might invite me to co-host an episode of Fast Finance with him while Travis is out roaming wild and free across the European countryside. All that being said, today’s article is about some of the explicit and implicit guide-rails of Magic design and development. While you don’t have to be a good Magic player to succeed in the finance realm, you will really benefit from understanding the directions that the game is growing in (and simultaneously what is being phased out! ), as it gives you a better understanding of future growth potential. These elements can be derived from both trends in design and development (color pie definition in the case of the former, “knob-turning” in the case of the latter), as well as modifications to Magic’s brand. The first two are probably things you’ve either heard before (or have subliminally inferred, especially if you read/listen to Mark Rosewater a lot), so most of our time will end up being spent on that last topic. So let’s do like I did in high school and just speed our way through all this D&D talk. DESIGN: Of the three pillars we are going to discuss today (Design, Development, and Brand), this is probably the least important, at least as far as finance is concerned. Design is constantly pushing outward into new creative space, and is the source of cards and mechanics that have never been seen before (albeit informed by both Development and Brand choices). 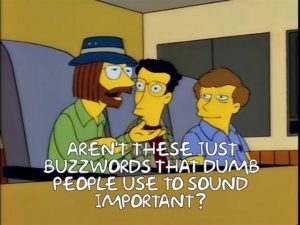 Once you’ve endured a spoiler season (and we’ve got one coming up! ), you’ll understand why speculating purely on new design is a risky (and often disappointing) mode of operation. However, Magic design is not governed by naïve whim and folly2, and there are a lot of elements at work that guide set construction (really trying to not bleed into development here, but you see why I said that was more important). The color pie is one of Magic’s most valuable assets, and having it be well-defined is an excellent baseline for future expectations. For example, Red is currently the color of “Fast Mana” or Ritual effects- therefore, it is foolish to anticipate White getting it’s own form of Rite of Flame any time soon. Now, while this may seem obvious, apply it one step further- blue is just about as unlikely not to get its own Rite of Flame, but there are serious implications in eternal formats. This buoys the value of a card like High Tide (which is the closest to a Blue ritual that we will ever get), which in turn reinforces the cards that are dependent on High Tide being the best available option. If [THEORETICAL BLUE RITUAL] were to become a real card, it means that cards like Turnabout suffer by association. Now, High Tide and Turnabout may not be traditional “spec targets”, and cards like Time Spiral are probably really good either way, the core concept remains that a card’s value (both monetary and in a more performance-based sense) are dependent on several associated cards. Knowing what the color pie does or does not allow enables you to make more informed decisions about what is likely to come. An important part of Magic Finance is learning that cards are largely contingent on other cards. DEVELOPMENT: I love development, and I think that it gets under-discussed relative to design3. 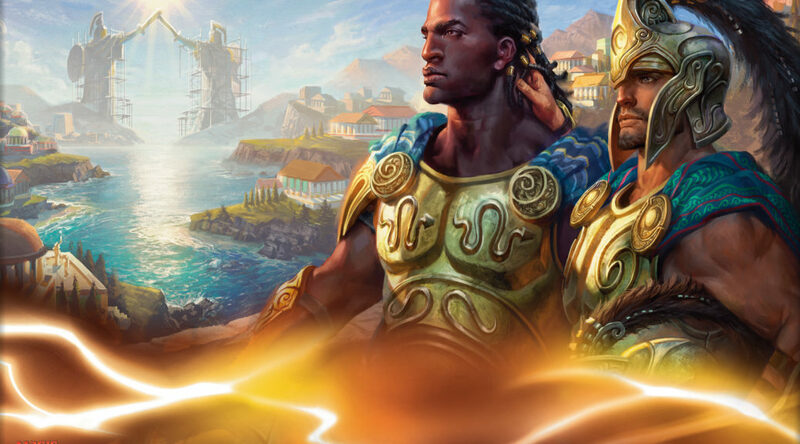 Ultimately, Development is a huge factor in Magic finance, in the sense that it helps define and reinforce the (relatively abstract) concept of playability. Whereas designers come up with concepts and ideas for cards, it’s developers who cost and tweak those cards to fit within existing environments- and their choices can have major impact. Development uses a concept called “knobs”, which refer to values or characteristics on a card that can be changed in their stage of the process (common examples are mana cost or power/toughness). If the team working on a new set feels that they want a card to be more aggressive, these knobs give them different means of finding that proper feel (by either making it cheaper or easier to cast, or by giving it higher stats than comparable cards at a higher cost). It is important to point out, if you haven’t noticed before, that most Magic sets (and certainly all them since R&D got their act together4) follow a similar recipe. Every large set is going to have certain key elements (these are, not coincidentally, also tentpoles of the various color philosophies), and the importance of Limited play has helped to solidify the role of this skeletal structure. For example, every set is going to have some form of mass removal spell (a la Wrath of God), enchantment and artifact removal at common, as well as more brand-centric things like iconic creature types (a rare Dragon in every set!). Where it is Design’s job to compose new variations on these themes, it is Development’s to make sure that those are fit to print, and in the longer term, shape the baselines for future versions. Take, as a popular example, Wrath of God. Originally printed in Alpha, it is considered the iconic mass removal spell. When Wrath was first printed, the understanding of Magic gameplay theory was literally nonexistent- Garfield and friends were just hoping their new game would sell! 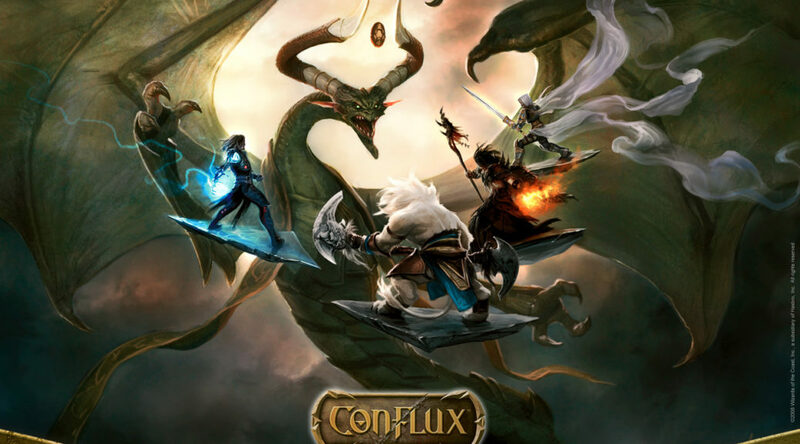 Since Alpha, however, WotC has refined the understanding of how games function (shifting primary interaction from the stack to the battlefield, for example), and this has resulted in some long-term changes. Wrath of God is no longer printable into a new Standard format, because the baseline for a mass removal spell is somewhere higher than 5. Likewise, new iterations of Birds of Paradise are extremely unlikely to cost , as that ability has moved to a baseline of - or in the case of Honored Hierarch, something that at least can’t generate mana on turn 2. The safe money here, as was the case with the design portion, is largely in where Development ISN’T going. In constructed formats with large card pools (Modern, Legacy), there is significant value in prioritizing converted mana cost, even at the expense of the actual ability. Therefore, cards like Wrath of God and Noble Hierarch are going to have additional equity built-in to the fact that they are now above a bar that cannot be applied retroactively (unlike Hearthstone, you can’t patch Magic cards!). 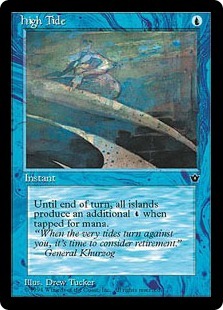 While this means that cards like Wrath and Hierarch are unlikely to be replaced by something new and better, it also limits severely their reprint options- the best way to increase supply of an old card is to get it into a Standard legal set, because it will be printed for a year and opened in tremendous quantities compared to any other product. When this window is shut completely, you are more likely to reprints resulting in either buoying or increased prices due to inability to meet demand. Alternatively, by understanding what the development guidelines are for certain effects, you can identify future Standard role players early in their life cycle (as was the case with Languish when it was easily found at around $2). WotC is NOT reprinting Liliana of the Veil in Eldritch Moon. This is one of those things that is really difficult to explain to people who don’t have a broad understanding of how the game functions from a marketing perspective. While Liliana of the Veil (henceforth ‘LotV’) would certainly be cool in the new set (and reprinting a $100 card would be very considerate for those who want copies but can’t afford them), it doesn’t help Wizards define Eldritch Moon or Liliana as unique moments in Magic’s canon. The new Liliana is going to be reflective of Innistrad’s current condition (BAD!) and the conflict with Emrakul, and anything less than evocative on that matter is a negative on the card’s design. In the case of LotV, her “ultimate” ability was actually very representative of what was happening in the story- she forced Thalia to choose between saving the Helvault or her people (represented by the two card piles in LotV’s ability! ), which resulted in the freeing of Griselbrand (and Avacyn). Now, you don’t need to know that little bit of trivia to appreciate how strong LotV is (heck, I didn’t even know it until a couple weeks ago), but because it serves a clear and specific purpose, it is a serious consideration. Also, of course they aren’t reprinting LotV, that card is legitimately busted. Branding displays itself in other ways also- things like iconic creatures (dragons, elves, goblins, etc.) help push the identity of the game while simultaneously engaging enfranchised players with new additions to their favorite tribes. I also expect that the long-term impact of e-sports and streaming will have a significant impact on the way Magic brands its product and play experiences going forward; more emphasis placed on Standard and Limited (the money makers!) and less on Legacy and Modern. This is not to say that Modern and Legacy aren’t interesting or fun, only that player increases only make it harder to provide those forms of engagement, and brand growth relies heavily on immediate and consistent engagement. We are slowly getting some information about the recent summit WotC held with some of their broadcasting staff, so more on that as it gets trickled out. Have any questions about any of these topics? Leave them in the comments! Hope you enjoyed today’s article, and that you learned something, too (even if it was just that LotV trivia). 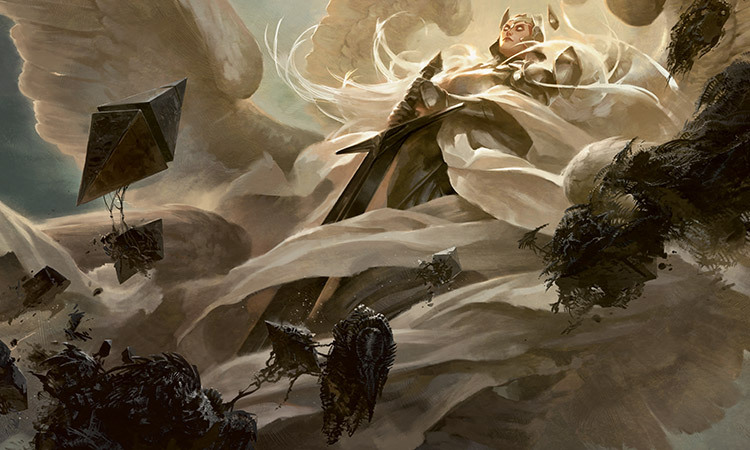 1Okay, if you REALLY haven’t read anything that I’ve written before, check out these articles on the Zendikar Boom, and why player population is the single biggest driver in Magic Finance. The numbers have scaled up, but the foundation is the same. 2Well, at least not anymore. Basically, this is why some of the early sets (HOMELANDS) were so bad. Legends was also horrible, but it gets (undue) credit for having a few incredibly busted cards. 3I think this is because most people, especially if Magic captivates them when they are young, attempt to make their own cards/set. 4Again I point a judgmental finger at the Homelands team. 5Obviously this is a sliding scale, and the “correct” number is probably something between 4 and 5, but the fact is that modern-day versions need to either be costed higher (Planar Outburst), conditional (Languish), or multicolor (Supreme Verdict). Keep in mind that internally WotC considers an additional color in a spell to be roughly equivalent to 1.5 or 2 generic mana. So a bunch of new things are coming this year, and as I said last week, there’s a lot of cards that I would be worried about. These are cards that I do not want to have extras of right now, or even if I do keep some, I do so knowing how easy these are to reprint. Reflecting Pool ($8): It’s been printed three times, and has two foil versions. But it’s ridiculously good in multicolor decks, and four-color Commanders are going to make everyone want one of these. I will be ready to order a ton of these if we get the decklists and this hasn’t been printed again, as a spike to at least $15 seems reasonable. Doubling Season ($40): Oh, this is scary. The good news, though, is that every time it’s been printed (Judge version, Modern Masters 2013) it’s eventually rebounded. I think this gets printed before the Commander decks, and if it goes as low as $20 I will be picking some up. It’s just too good in the long term with tokens, planeswalkers, counters, etc. Path to Exile ($11-$13): Seven printings! Including an FNM version, as an uncommon, and yet here it is. I stand by my thinking, though: This is easy to print, a powerful yet balanced effect, and if it dips down to $5 it’ll be an attractive buy target. I would not be holding spare nonfoils. Akroma’s Memorial ($16): I’ll be honest, I love cards like this that just end the game of Commander. Drop this down and immediately remove someone from the game with your hasty, vigilant, first striking army and don’t be afraid of any retaliation. This is a very high price for such a casual card, though, and a reprint is going to bite deeply into its value. Cavern of Souls ($54): This is the new Damnation. We know it’s going to get reprinted. It’s an amazing card in Constructed for uncounterability and in casual formats for tribal color-fixing. I would call this somewhere between scorching and radioactive, in terms of how this would be burning a hole in my binder to get rid of it. I’m actually hoping for something with better art, because the foil isn’t all that pretty. Get rid of every copy you have, as I will be stunned if this makes it to New Year’s Day without a reprint. Blood Artist ($4): As an uncommon from one of the worst Limited sets in recent memory, it’s surprising to see this be worth so much, but the effect is bonkers in a lot of settings. A reprint will tank this hard and you should move these out now. Rune-Scarred Demon ($6): I don’t think Dark Petition is going to get a reprint this year, but I do believe that seven mana for a 6/6 flyer and a tutor is awesomely good enough to see a new version in one of the sets we get this year. I couldn’t say which, but I wouldn’t keep any of these around. Oblivion Stone ($30): Big-mana strategies are in vogue and this hasn’t had a printing since 2011. There’s a lot of casual players who would love to have one of these, and you should move your extras out pretty soon. This could literally be in any set. Champion’s Helm ($10): One of the underrated cards from the original Commander, this is one of the best ways to keep your general safe for a low cost. Lightning Greaves is the gold standard, but this is not far off. However, it’s only had the one printing, and a new release will really impact the price. Consecrated Sphinx ($26): It’s due. It’s so due. It’s also an excellent candidate for a banning in Commander. I would let go of every copy that wasn’t in a deck right now. Darksteel Plate ($8): It’s hard to grasp how long ago this got printed, and it’s had no additional versions added to the supply. Get your extras out of your binder and avoid the price loss that will happen. Asceticism ($12): If you’ve never had the honor of playing with this, it’s even better than you think it is. Pinpoint removal is no good, and also it regenerates when needed. It’s also no mana to protect your creatures, and it’s a popular card in green Commander decks. This is rather expensive for a rare from a big set, and adding to the supply is going to torpedo the price. Genesis Wave ($7): Speaking of Scars of Mirrodin! This card pops up from time to time when a ramp deck wants a big finisher, and this is ridiculously awesome in Commander games. 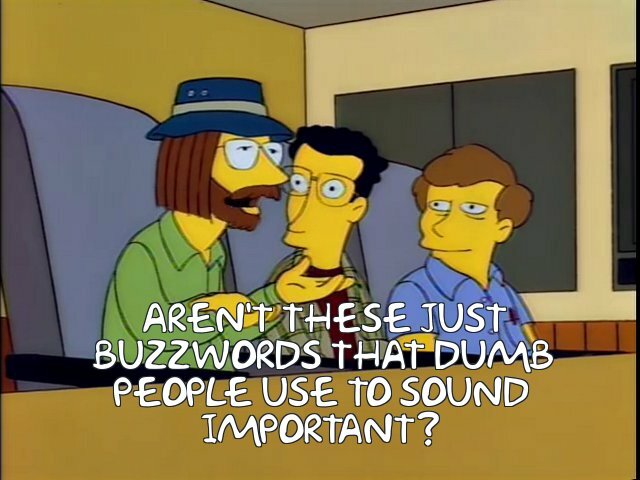 I expect this to get printed again, losing at least half of its value when it does. Steel Overseer ($19): I would imagine that one of the new Commander decks will be artifact-based, likely the one that isn’t green. This card would be fantastic in that set, and if it’s not printed, will likely go up by $5-$10, and drop by at least that much when printed. Serra Ascendant ($19): I don’t think this would be in the Commander product, because it lacks the modern template of Chalice of Life and different playgroups have different ways they want to handle this card. The price, though, is going to drop like a rock, since this was a rare in 2011. Captivating Vampire ($9): Sees no competitive play, one of the top tribes in Magic, five years old. It’s an excellent target for one of these supplemental products and won’t be even $5 after a reprint. Linvala, Keeper of Silence ($52): This is another card that keeps dodging a reprint and I’m more and more surprised each time. If I had any extras, I would be very nervous. She’s continued to creep upward in price and kudos to you if you want to keep walking the tightrope with her. Nirkana Revenant ($22): Everyone loves this effect in casual circles and it even comes with something to do with all of that mana! It’s a mythic from forever ago, though, and the supply is tiny. Expect this to drop to a third of its value. Master of the Wild Hunt ($14): Another ancient mythic, this is really more and more amazing with all the new wolf creatures and token makers. Trade these away freely.